Not your ordinary little girl: Family’s tribute to trampoline tragedy youngster - UK - Discuz! Board - Powered by Discuz! A three-year-old girl who died after she was thrown from a seaside inflatable trampoline “could light up even the darkest of rooms” with her “infectious laugh and smile”, her devastated family have said. Ava-May Littleboy died at the James Paget Hospital after the incident at Gorleston-on-Sea on Sunday morning. The youngster had been at the beach with her mother. In a statement issued by Norfolk Constabulary, her family said: “She was not your ordinary little girl, as anyone she met, she would leave a lasting impression on. The incident led to calls for the Government to consider a temporary ban on inflatables in public spaces. 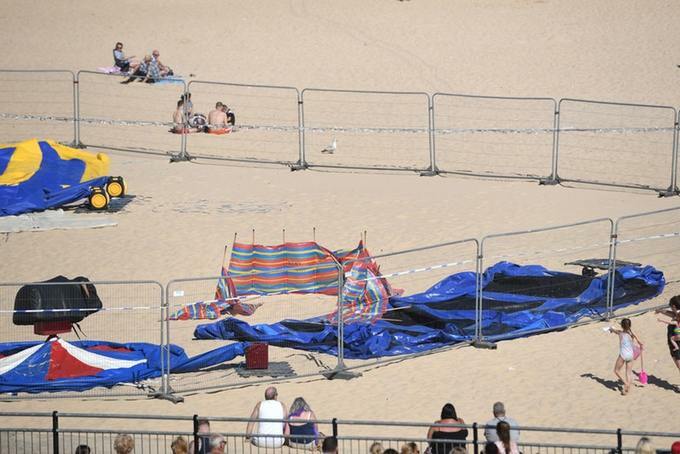 Police said witnesses reported hearing a “loud bang” before the inflatable “apparently burst” at the seaside site. Robert Halfon, the Conservative MP for Harlow, Essex – where seven-year-old Summer Grant was killed when a bouncy castle blew free from its moorings in 2016 – wanted politicians to consider a temporary ban on inflatables in public spaces. His request for an urgent question in the House of Commons was not granted. Mr Halfon said he was “disappointed” but would table a Commons motion about it. Downing Street described the incident as a “terrible accident”. The Prime Minister’s official spokesman said: “It is a terrible accident and a tragic loss of life. Superintendent Roger Wiltshire, of Norfolk Police, said the incident was “just unimaginable”. “I’m a dad myself and you just can’t imagine what they would be going through,” he said. He said the attraction was licensed, and the local authority was conducting checks on others following the incident. 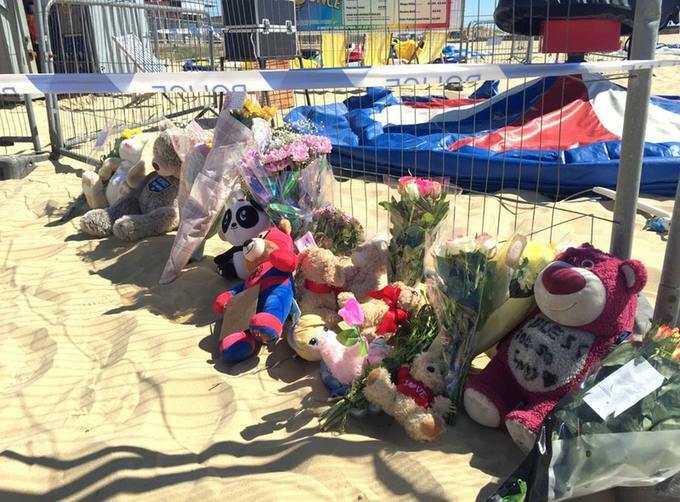 Tributes including teddy bears and bunches of flowers piled up against a metal perimeter fence encircling an area of the beach where the deflated inflatable was still in place on Monday. A Home Office post-mortem examination was due to take place on Monday to determine the cause of Ava-May’s death. Any witnesses to the Gorleston incident who have not yet spoken to the police, or anyone who may have captured the incident on their phone or camera, is asked to call Norfolk Police on 101 or Crimestoppers on 0800 555 111.